Next stop, paradise. 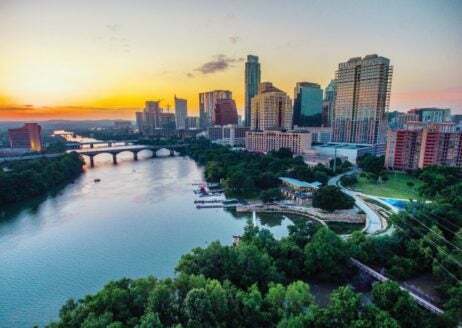 Flexjet fractional jet owners in need of a transcendent wellness retreat may now take advantage of exclusive benefits through a newly inked marketing alliance with Lake Austin Spa Resort. Voted the #1 destination spa in North America by Conde Nast Traveler readers, Lake Austin Spa Resort is a premier lakefront destination spa resort nestled in the beautiful Texas Hill Country, and a perfect complement to the flawless Flexjet experience. As part of the agreement, Flexjet fractional jet owners receive a number of noteworthy benefits when visiting Lake Austin Spa Resort. Based on availability, guests receive a room upgrade to the spacious Lady Bird Suite—named in honor of the former First Lady—featuring a living room, fireplace, private garden and whirlpool. Visitors are greeted with fresh flowers and a wine and cheese plate, along with a luxurious LakeHouse robe, a tote full of the resort’s signature skin care products and a $100 spa credit. Flexjet guests will also be automatically enrolled as Monarch Club members, providing them with select hotel and product offers as well as complimentary gifts. Lake Austin Spa Resort features 25,000 square feet of pure indulgence, including 30 indoor and outdoor treatment spaces. Its innovative spa menu includes more than 100 body treatments and therapies to ensure a healing yet blissful experience. The resort also offers a private outdoor couples suite, the Palm Pool, and separate locker facilities for men and women complete with a hot tub, sauna and steam room. Guests can take advantage of state-of-the-art fitness facilities—featuring up to 20 different classes and activities daily—as well as extensive discovery programs. The resort’s award-winning cuisine is offered through three seasonal menus daily, blending global inspiration with local resources. Dishes are oftentimes prepared with fresh vegetables and herbs harvested from the resort’s own organic gardens. Flexjet is dedicated to providing its owners with exclusive access to premium experiences, and this alliance with Lake Austin Spa Resort is another example of this commitment.